or any other life style change or diet you have heard off. – to shed the pounds and get mental clarity at the same time. – to finally be able to stop dealing with food, the same way smoking makes you deal with cigarettes all day. – to take control weight off your to-do list for the rest of your life. – and to keep eating for about 80% the same stuff you always did. Yes, I’ve gained weight, “all” the way up to what I was before I started my one and only serious (and successful) attempt to lose weight: I’m back at weighing 70 kilos again. Ten years ago, I lost the first kilos after starting to eat the Ayurvedic way (which includes full-cream for everything!) during the last years of my yoga training. And then I helped fate a little bit by keeping a food diary for half a year, cutting out cookies and adding a daily half hour on the home trainer . Hello renewed body of 60 kilos. – there is a new diet, a super-easy approach waiting for me. And I ll know it when I see it. And I was right. The Interval Diet (the name I made up for this) is the easiest thing in the world. And I m serious. This diet is about creating non-food intervals between your meals. Minimum is 2,5 hours, maximum 4 hours, which might become a little more if you re really busy or something. So when you eat make sure you have enough to last you anywhere up to your next meal. This includes coffee with sugar or milk, which counts as food. Have them all around your mealtime. And you re done! 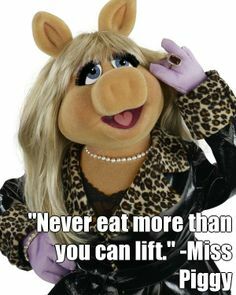 Now the YOU in this case is: someone who is hungry the entire day, can probably eat more than she/he can lift, and has no tendency to ever EVER undereat. I would even suggest that if you don’t get cranky when it’s past your feeding time, this diet is not for you. This is for the hobbits among you: people with a love for food, who could do with a little more discipline in their intake. Just right for them, hobbit size. On weekends I eat and drink more, and less organized, although I can still achieve a 2,5 hour interval and one 4 hour interval. Ideally alcohol is consumed with a meal; chocolate, cake and other snacking is done with the after-meal coffee. “To tamp it all down,” I’d then say with Meriadoc worthy contentment. One of the luxeries I can afford myself (working from home) is that I can always eat warm, and make fresh coffee with real milk. And I intend to enjoy that to the fullest. So here’s an example of the Interval Diet on a weekday. For me a bare minimum (as in food intake) looks like this (not including tea). or two freshly squeezed orange juices with turmeric- , pepper & ginger powder. & fruit at night time is an Ayurvedic no-go all together. On a day like this I “score” 3 intervals and 12 1/2 hours. And a lot of mental clarity…. There were three reasons why the most logical thing, to listen to your body when it wants to eat, never worked for me. 1. I’m always hungry. And when I m not hungry I can use a nice coffee latte to motivate myself to go to work, I might fancy some pre-yoga-practice chocolate and so on. There was always a good reason to eat. 2. I find listening to my body tiresome. I’d really much rather spend my energy somewhere else than to keep in tune with what my body is telling me all day. It’s a gorgeous round and healthy thing. It’s not going to die of starvation. 3. I like being in control. To write down the food intervals, is a bit of a challenge, a game. And it puts me in the pilot’s chair. I may be slightly hungry within intervals but knowing that within a few hours I can eat anything I want, makes it all worth it. Ideally, you (again, just hobbits and Miss Piggy apply) would stick to three 4-5 hour intervals. This way you only have to be concerned with food four times a day, and if you standardize certain meals even less. If you have a shared meal time with others, or appointments/ an office workday which dictates when you eat, you work with the 2,5 hour intervals. You may want to take lighter meals, when you know in advance you ll get fed within 2,5 again. The first weeks I just played around with trying to create ONE 2,5 hour interval and ONE 4 hour. That’s it. And on days when I have a lot of appointments I set that to be my minimum. To me, that is always feasible. The most important difference between 2005 and 2015 is that I ve always known (even way before my home trainer broke down) that the way I had lost the weight in 2005 was not sustainable. Getting 1/2 hour of intense workout a day, in a way that is not truly you, is one day going to fail to inspire you. And the magic of keeping a food journal is not going to hold up forever. I knew in advance that unless I came up with a way to keep the weight off, it would come back. It’s nothing short of a miracle it took ten years. This diet is to control my weight, I admit that. But there are two benefits this “diet” has, that others don’t. As long as your body is digesting, your mind is scattered, concentration low. And also when you are thinking about food, you cannot think of anything else. There is the risk of being hungry in this diet, I fully acknowledge that. And I know of multiple studies (not going to lie) who tell you that a diet will decrease your productivity, and costs mental band with. But for me this has outweighed the “fuss” of constantly digesting or thinking about if/what I should be eating. I am more productive now, then when I was still on the all you can eat. I recommend you find out for yourself what this diet does to your productivity, but my guess is it will increase, rather than decrease. It is so beneficial for your body to have some quiet time between meals. Just like fasting. There is this myth that we/ all of us have to keep our digestion going. A lot of diets actually advocate 6-7 small meals a day. This is a great idea for people on the thin side, or with slow digestion. But it is superfluous advice to those who get up in the morning with their stomachs rumbling and ready to eat anything dead (or at least seriously slowed down). For the sake of everybody: we need to slow down our metabolism. Not fire it up. The Interval Diet is a great way to do fasting. But just a little bit, just right for us. Like mini-fasting. 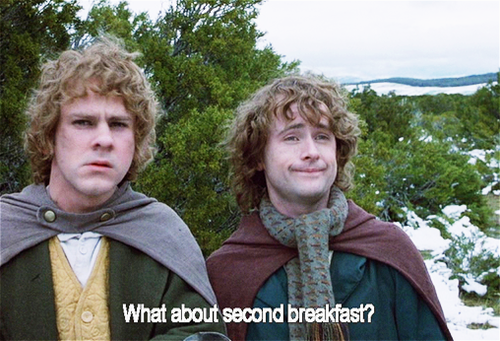 The Interval Diet is like fasting for hobbits. I’m teaching from Yoga with Adriene for 21 weeks & provide her videos here for home practice. This is week 7. Our week starts on Monday. You ll receive new blogposts every Sunday night. Vinyasa practice of standing poses & ending with side plank and lying down twists and happy baby. YUMMY!!!! Try this one, it’s like chocolate. Promise. This entry was posted in Personal, Yoga with Adriene, Yoga@Home and tagged home yoga, relax, vinyasa yoga, weight loss, Yoga with Adriene. Bookmark the permalink.